Before: adult long sleeved tee with cowl neck. So I found this long sleeved t-shirt with rather ridiculous cowl neckline in the men’s section of a thrift shop. My first thought was: wow, look at all those fabric! 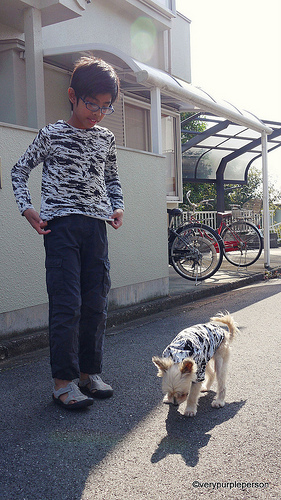 The color is actually light grey with black printed pattern, it is rather thick jersey in good quality. 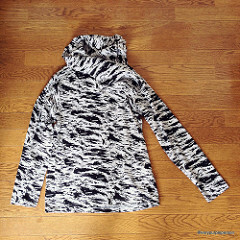 I bought the item for about USD5. 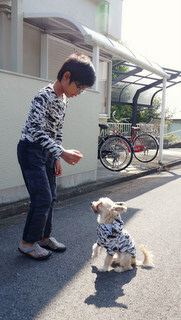 My favorite pattern for making Sidra’s long-sleeved T-shirt is Biscuit by Tamanegi-Kobo, a Japanese pattern store. 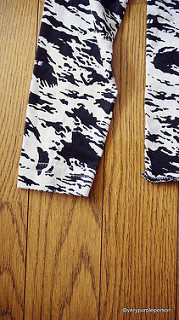 The sleeves are very interesting, they look like regular sleeves from the front and raglan sleeves from the back. I’ve used this pattern several times here, here, and here. This time I printed a new one as Sidra is now size 130. 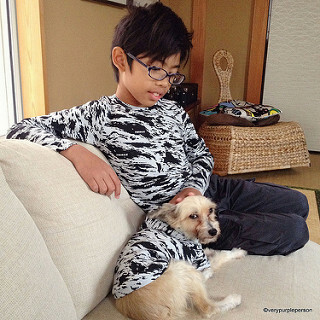 Too bad that in several years he won’t be using this pattern and also all my Japanese pattern books for kids, as all of them stop at size 130. 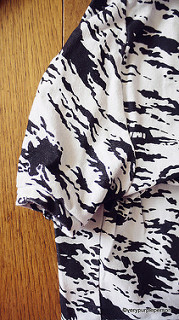 I used the original sleeves hem and simply overlocked the hem of the T-shirt. All of the seams are done on my overlocker. 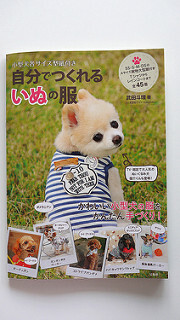 The dog hoodie is from Millamilla pattern book, the title is in Japanese and translated as ‘Dog clothes for small dogs’. 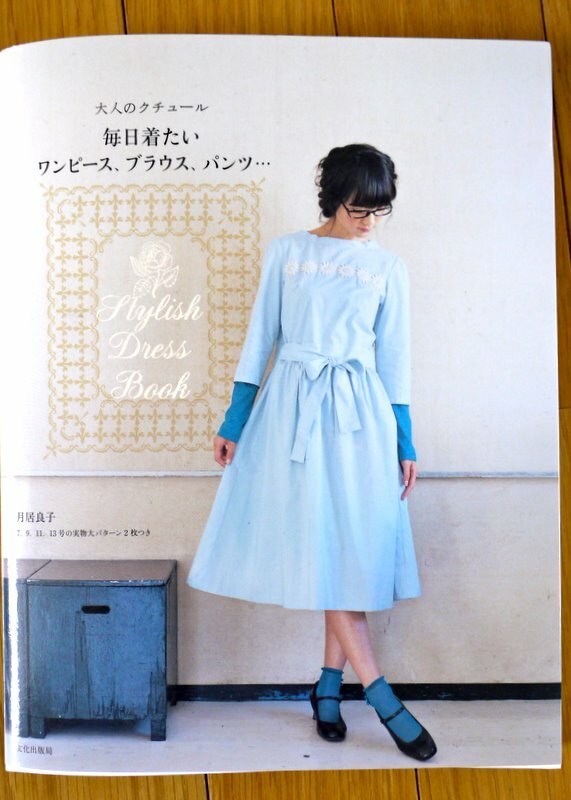 I used the book for first time for making clothes for Duff here. 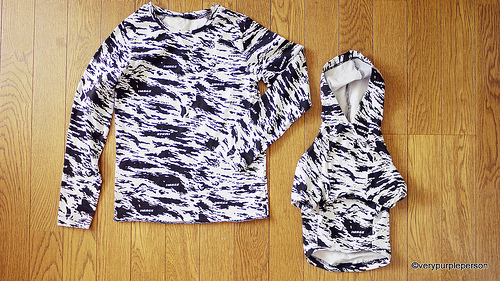 The hoodie has raglan sleeves and single layer hoodie. I cut all the pieces from the cowl of the original t-shirt. All the seams are done on overlocker except for several topstitching using sewing machine. Here they are in matching shirts! 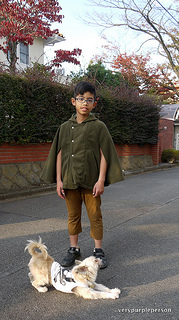 Boy’s long-sleeved T-shirt pattern is Biscuit by Tamanegi-Kobo (PDF), size 130. 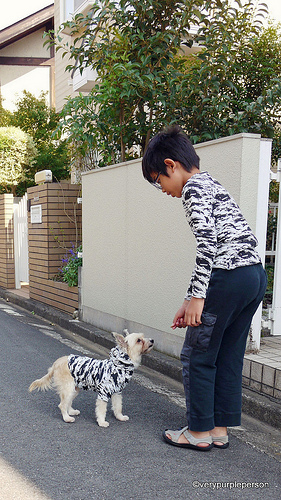 Dog hoodie pattern is from Millamilla pattern book , size M.